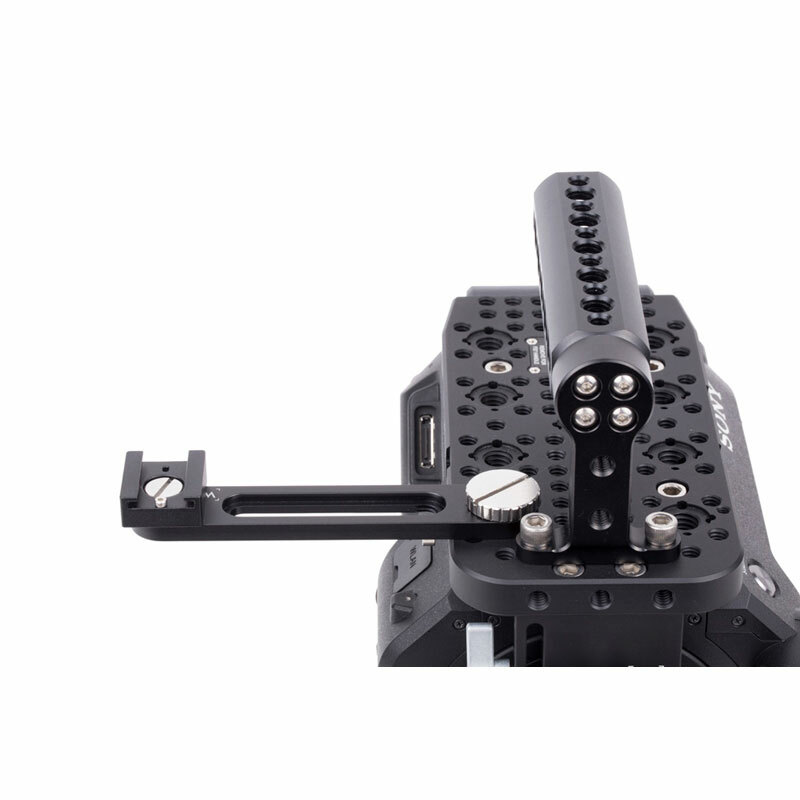 Universal Offset Bracket attaches by an ARRI style accessory mount, 3/8-16 with locating pins adjacent. 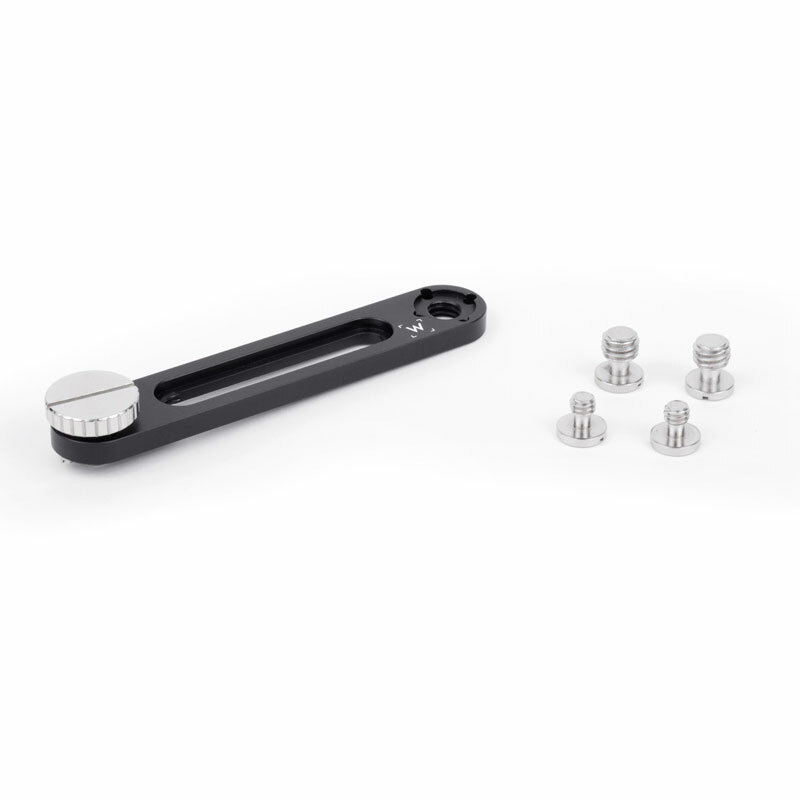 It can also attach by using two included 1/4-20 or 3/8-16 screws spaced up to 77mm (3 inches) apart center to center. 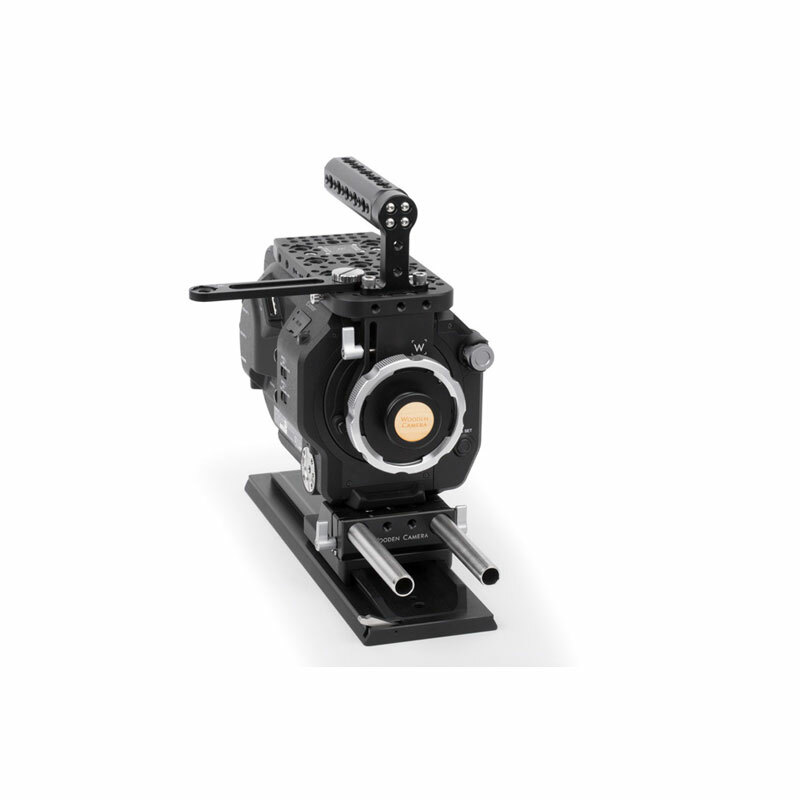 Provides an ARRI style accessory mount spaced 100mm from the original mounting hole. 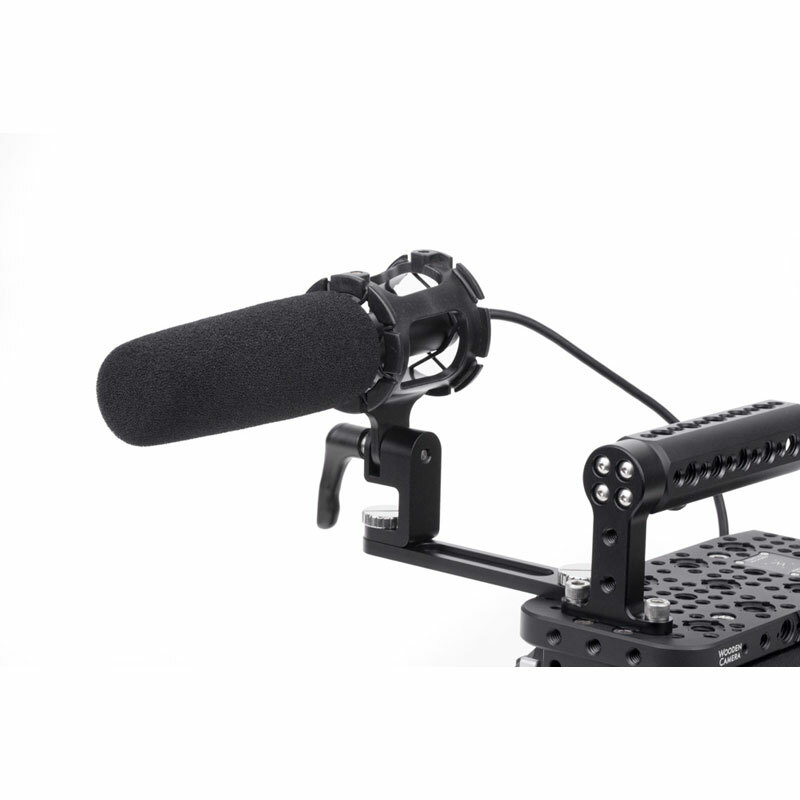 Works great with Universal Hot Shoe and Microphone Shock Mount.